The Butler is in theatres now, and it's getting mixed reviews. 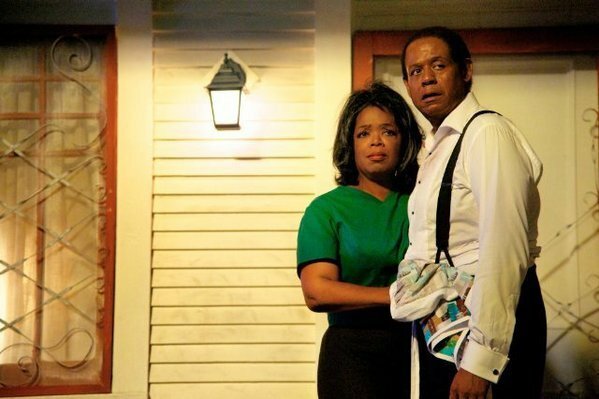 Oliver Gettel, of the LA Times writes: "The year's first serving of Oscar bait has arrived on a silver platter in the form of "Lee Daniels' The Butler," a star-studded historical drama starring Forest Whitaker as an African American butler working at the White House through multiple administrations, set against the arc of the civil rights movement. Thus far the film has earned positive, if somewhat ambivalent reviews, with critics praising the strong ensemble cast for helping to ground writer-director Daniels' melodramatic flair. In a measured review, The Times' Kenneth Turan writes, "'The Butler' is neither as good as it might have been nor as bad as survivors of 'The Paperboy' may have feared. An ambitious and overdue attempt to create a Hollywood-style epic around the experience of black Americans in general and the civil rights movement in particular, it undercuts itself by hitting its points squarely on the nose with a 9-pound hammer." Sounds like it's definitely worth a watch. Particularly if you're a Whitaker or Winfrey fan.